I must have been a very good girl this year as I received lots of lovely Christmas pressies many of a foodie nature. Some I had specifically requested but others were completely out of the blue from some very thoughtful friends and relatives who know my foodie tastes very well. Here's the rundown... First up the edibles of a chocolate nature which were very quickly demolished. Hotel Chocolate Salted Caramel Puddles, Gin Truffles, Gingerbread Truffles and Coconut Bombes. Dark Wasabi and Dark Chilli Lindt. Toffifee. Dairy Milk. Post Christmas diet begins 2nd January. In addition to my Russian Doll Christmas Cake I received a much coveted set of Matryoshka measuring spoons. 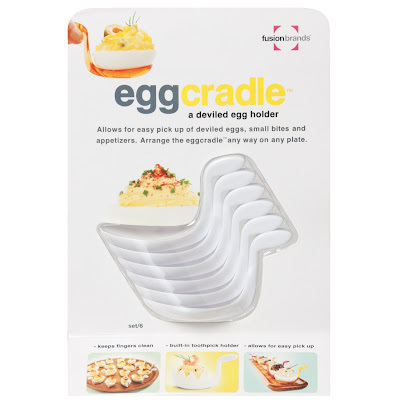 These are something that I have admired from afar but always thought they were too frivolous to purchase for myself. I will enjoy using these very much and will continue to covet the matching measuring cups. 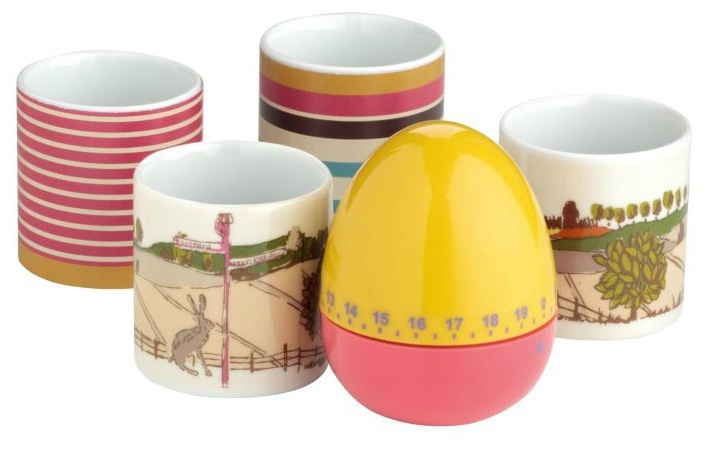 I do love a boiled egg and this gorgeous eggcup and timer set from Joules will definitely brighten up breakfast time. Exactly what a Christmas gift should be. Something you love but wouldn't buy for yourself. Dippy egg and soldiers coming up. 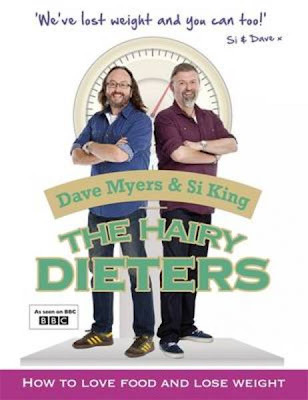 I had the Hairy Dieters book on my Christmas list which my Mum obliged with but she also managed to pick up their 12 Days of Christmas Book in a Charity shop so I got it too. Bonus. In addition she made me a huge jar of Christmas Chutney from it. Double Bonus. 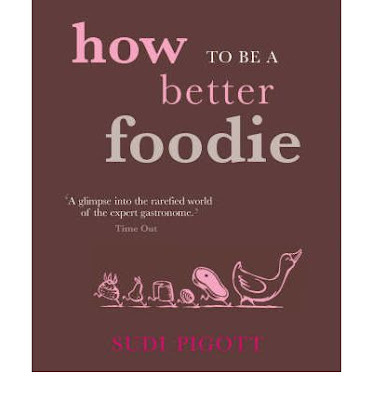 I've bookmarked a couple of recipes for Christmas 2013 (Christmas Pudding Vodka, Coarse Country Terrine, Gin & Tonic Sorbet) and the Diet book will come into its own come 2nd Jan. 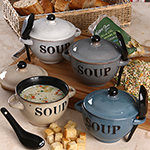 It's just the weather for soup at the moment so this set of four rustic lidded soup bowls with spoons will get plenty of use. Cloth bags of broth mix and salt and black pepper croutons finish off this gift perfectly. 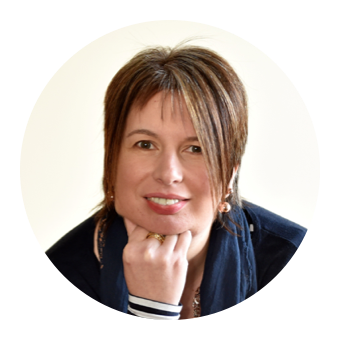 There will be plenty of hearty soups appearing on my meal plans over the coming weeks. 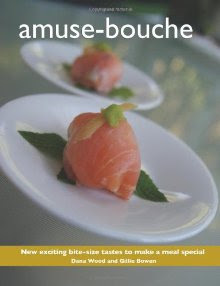 I suspect my 40th birthday Canapes provided the inspiration for the Amuse-Bouche book and accompanying canape spoons. Lots of lovely bite sized recipies. Ive already bookmarked Biscuits au Saumon et Fromage, Sorbet au Bloody Mary, Creme d'Epinards avec Oeuf de Caille and Tarte a la Rhubarbe. I have long been in need of new knives with my current set being almost laughable in their uselessness. 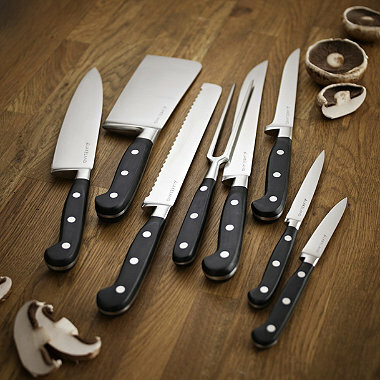 I am now armed and dangerous with cooks knife, filleting knife and paring knife from Lakeland. I suspect I should use my Nick Nairn Cookschool voucher to attend a Knife Skills Course. No carrot, mushroom or onion will will be safe. Perhaps I should stock up on blue plasters. 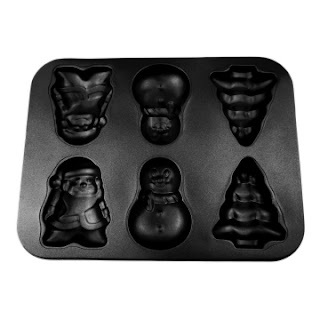 Possibly too late for this years Festive Cakes and Bakes but I'll need to get my thinking cap on to decide what to make in my Santa, Snowman and Christmas tree cake tin. Moulded cakes like these aren't something I've experimented with before so any tips would be most welcome. Following my afternoon at G and Teatime a bottle of Martin Millers Gin was firmly on my wish list and husband didn't disappoint. 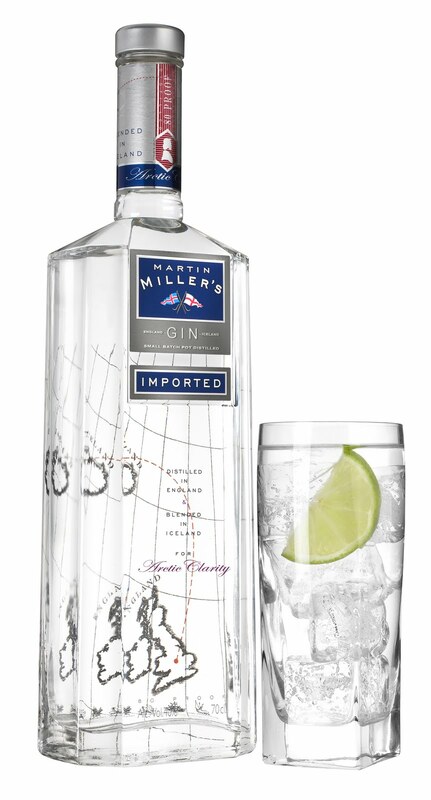 Botanicals have been slapped. 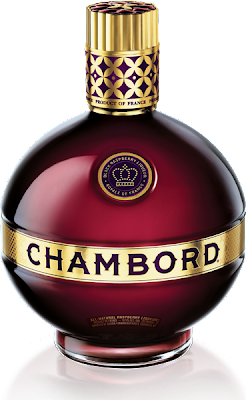 My Aunt chose well too with a bottle of Chambord Liqueur. 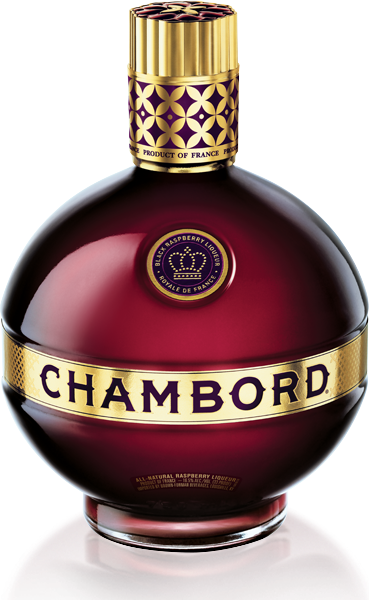 Great in a cocktail or simply with Champagne. Alas in the north of Scotland I'm hundreds of miles from an Ikea so had to outsource the purchase of a Gingerbread House kit to my sister. Whilst she was there she picked me up these fantastic festive cake tins and a set of matching cupcake paper cases. Love them. So wish we had an Ikea closer. I've wanted a proper old fashioned Griddle for ages but they seem to be very difficult to come by and impossible to get without a lipped edge. My Mum handed this one over somewhat apologetically as it wasn't exactly what she had been searching for on my behalf. I'm looking forward to giving it a try with bannocks (scotch pancakes) and if I've feeling very brave I might give oatcakes and girdle scones a go. Watch this space. I hope Santa brought you everything you wanted. Would love to hear about any exciting foodie gifts you received. Best wishes for 2013 when it comes. Lang may yer lum reek. When I picked my Sister up from her flight to Aberdeen from Luton she seemed to be struggling with some particularly heavy hand luggage but was loathe to hand over custody of it. Its secret was soon to be revealed when she produced and amazing Christmas Cake which she had baked, marzipaned, iced, decorated and transported hundreds of miles in almost one piece (a few tiny breakages enroute) The decoration contained two of my most favourite things. Russian Dolls and Gingerbread Men. Candy Canes made a pretty good seasonal third. I knew that she had been going to cake decorating classes but was unaware that she was working towards an amazing Christmas Cake as her end of term project. Whilst I could easily bake a cake I wouldn't have a clue where to begin with icing and decorating so I'll hand over to her to explain how she did it. Over the last few months I've been attending a royal icing cake decorating course at my local adult education centre in Milton Keynes. One of the main goals of the class was to build up our skills in order to ice/bake/decorate our own cake for Christmas. I couldn't resist designing a cake which I hoped would be enjoyed by all the Foodie Quine family members when I headed up North for Christmas. 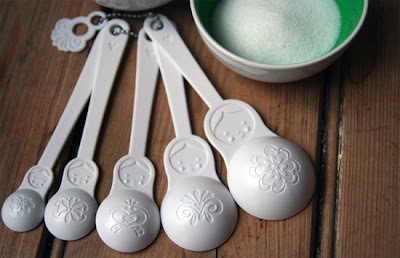 So Royal Icing - that's the stuff you make up in to a paste with icing sugar and egg whites and it can be used to smooth over a cake, piped in all sorts of intricate designs and coloured to rich bright colours for decoration. First of course I had to make the cake - armed with my mother's cake recipe I spent one long afternoon lovingly preparing the Christmas cake (4 hours in the oven is a long time) I fed it over the next couple of weeks with some Amaretto, then marzipanned the top and sides to a give a smooth finish. Next I built up layers of royal icing over the sides and top of the cake (I think at least five thin layers) letting them dry overnight in between coats. I'd decided to try using a technique called 'runouts' to add some decoration to the cake - perhaps I wasn't quite brave enough to pipe so much detail on to the cake itself - but runouts offer a great way of prepping royal icing motifs which you can then attach with icing to any sort of cake. They are formed by outlining your motif with some piped quite stiff royal icing in an appropriate colour and then flooding in other sections in a slightly thinned down icing. A bit of planning is required to ensure one section is dry before starting an adjoining section... and also you work from the furthest back section and work to the top to get some kinda depth to your pattern. I decided I wanted to do some candy canes and gingerbread men to go round the side of the cake with some Christmassy looking Russian doll's on the top. The gingerbread men were particularly easy - print out a sheet of gingerbread men shapes, tape to a board, cover with some greaseproof paper then mix up some brown coloured icing, ice the outlines and leave to dry for a short while, flood the inside with some thinned down icing (still through a piping nozzle which helps to prevent bubbles forming - and working in smallish sections at a time to try and prevent your icing from crusting over) eh voila - one ginger bread body is made. Just need to leave them to dry for around 24hours minimum then pipe on some more decorations (eyes, buttons etc) and the runouts can be gently eased off the greaseproof paper and placed around the cake. 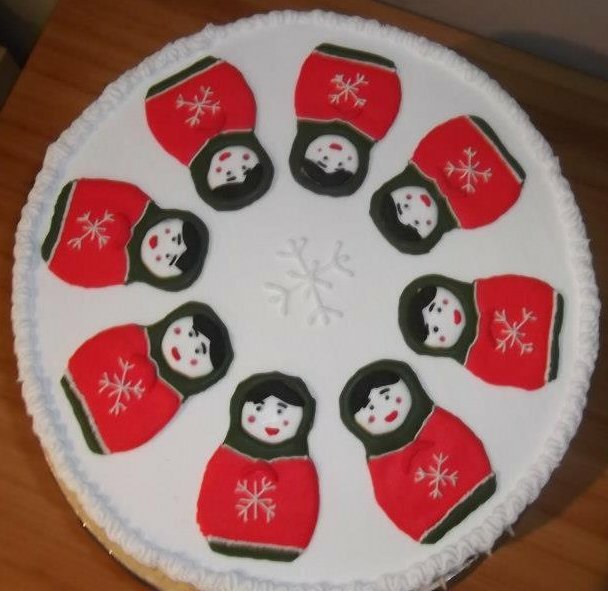 The candy canes and russian dolls were done the same way - and the whole thing was assembled along with a bit of piping round the edges of the cake, a little snowflake design in the centre. I was pretty happy with the finished design - I've got a long way to go in my decorating skills but it's lovely to just be able to do something different at Christmas and I rather like the home made look. A Gingerbread House has become a bit of a tradition over the last few years with the building taking place on Christmas Eve and demolition as Boxing Day desert. The house itself comes flatpacked from Ikea and last year we also had a giant Gingerbread man which husband procured on a business trip to Milan. This year I was pleased to find a pack of four in Costco. 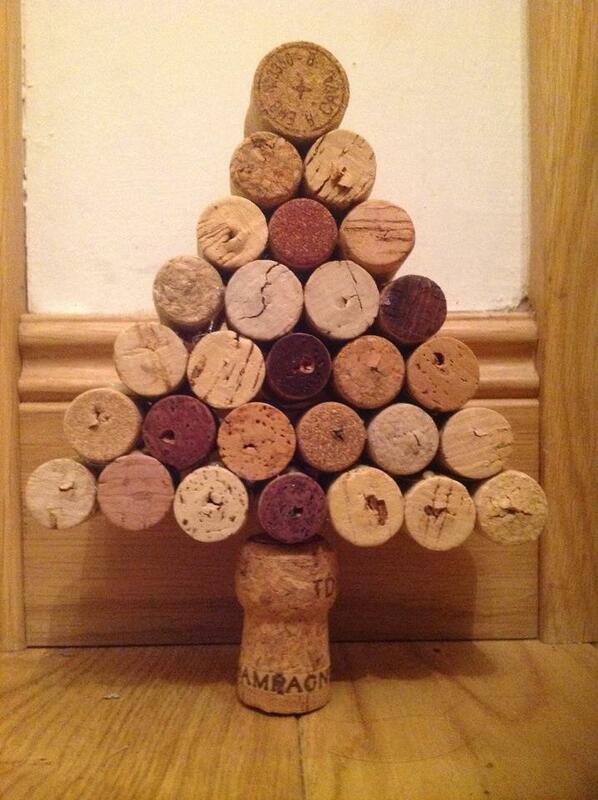 Boy and Girl each invited a friend round to assist and the decorating got underway. The house has got more extravagant and detailed each year but always with a tradition sprout on the top of the chimney. This year there was the addition of a chocolate finger fence, sherbet ribbon fringing and chocolate button path. Next year they are apparently also doing the interior. Following on from my 40th Birthday Cake of Cheese my sister was determined that we should do one on a smaller scale for Christmas. 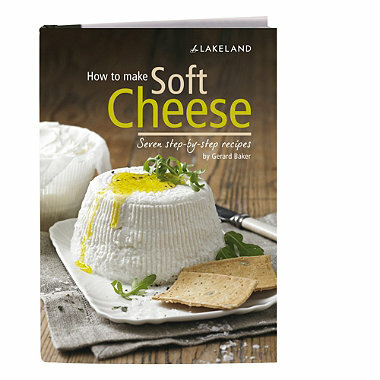 Its the perfect time of year to do it as there is a much bigger range of cheeses than normal available at the supermarket. We managed to create an eight tier cake from Asda for around £20 topped off with a Santa Baby Bell. Playmobile Advent Calendar woodland creatures, cranberries, holly and sprouts completed the festive look. To accompany the Cheese we had some of my Spiced Apple Jelly and some Red Onion Marmalade. Really easy to make and very tasty. Will definitely become a regular addition for Christmas. In addition to with Cheese I also served it as an accompaniment with my Christmas Day starter of Game Terrine. Three cakes of Christmas which could probably not be more different or less traditional. 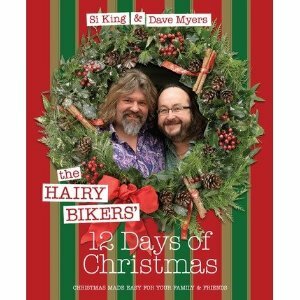 Would love to hear about your Christmas Cake(s) this year especially if they were a wee bit out of the ordinary. Whatever you baked, bought or ate I hope you had a great Christmas. The sights, sounds and smells of the Munich Christmas markets tantalise your senses with every step. So much tempting street food on offer that in between breakfast and dinner we ate on the hoof. We couldn't resist for long and our first snack in the markets was Rieberdatschi. This is a deep fried potato pancake served with apple sauce or mayonnaise. You can also sprinkle it with either salt or sugar. If you watched Kirstie's Vintage Christmas last week you would have seen her visit the Munich Markets where she ate at the very same stall. For those with a sweet tooth Gingerbread or Lebkuchen is found in abundance covered wth chocolate and icing in an assortment of flavours and shapes. Stollen, sweets, chocolates, nuts, cakes and roasted chestnuts are also on offer at every turn. The burnt sugar almonds (Mandeln) have the most amazing smell that draws you towards the stall for a taster. There are Bratwurst sausage stalls a plenty with a huge selection of different variations up to a foot long. Lots of mustard to accompany or giant bottles of ketchup or mayo if you prefer. Unfortunately we never managed to sample the local specialty of white veal sausage or Munchner Weisswurst. Another good reason for a return visit. On a visit to the Gay Pink Christmas Market we had to have a Pink Puffer from the Puffervariationen stall. It was a potato cake made with beetroot and accompanied by a horseradish sour cream. A popular fast food sausage dish is Currywurst. A chopped smoked sausage topped with curry ketchup. A machine magically chops up the sausage into pieces. A mix of curry powder and paprika is sprinkled on the top. At the Residenz Market we spotted an amazing pastry called a Baumstriezel and had to try it. A thin strip of sweet dough was wrapped round a wooden mould, brushed with butter and sugar and cooked in a tube shape. We had it with sugar and cinnamon but coconut, chocolate, nuts and sprinkles were also on offer. The sheer range of food available at the markets was phonemonal and the quality was excellent. So much better than the burger and chip vans of the UK and very reasonably priced. The Medieval market had a particularly amazing selection. 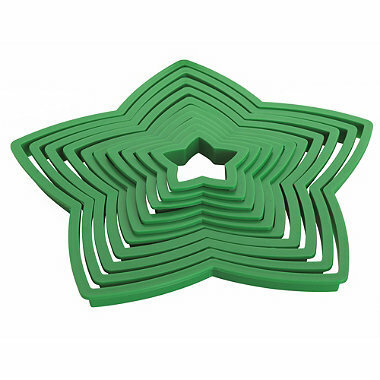 I was really pleased to see the star shaped Zimtstrene on sale having had a go at making them myself. Candied fruits was another festive delight on offer in spectacular displays. Even the rubbish bins got into the festive spirit. If only we could have gingerbread house bins and burger stalls under a Christmas Pyramid Windmill here in the UK perhaps the quality of street food on offer would improve. Wunderbare München. Wunderbares Essen.